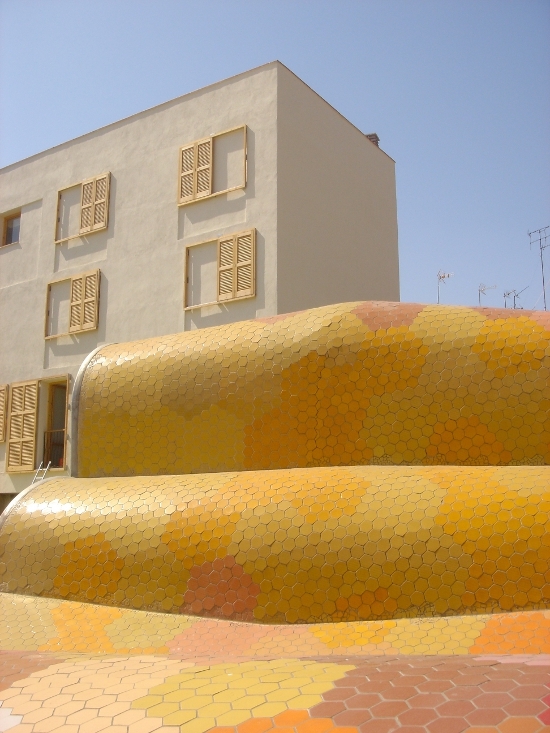 What came after postmodernism? More postmodernism, of course. 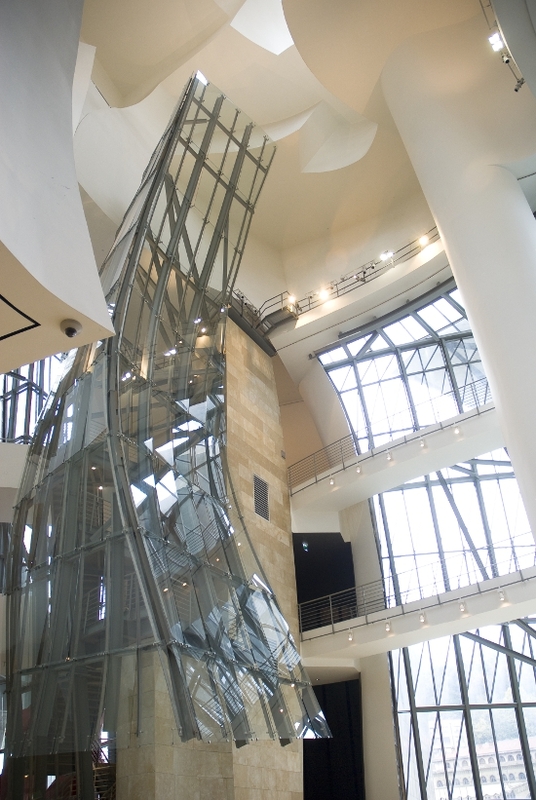 Charles Jencks, one postmodernism's preeminent chroniclers says that since the turn of the Millennium, the movement has experienced an unlikely rebirth, and chooses the 10 of the most important works from postmodernist architecture's second wave. Since the Millennium and the term 'postmodernism' disappeared from the lexicon of fashion, an unlikely rebirth has taken place in the world of architecture. 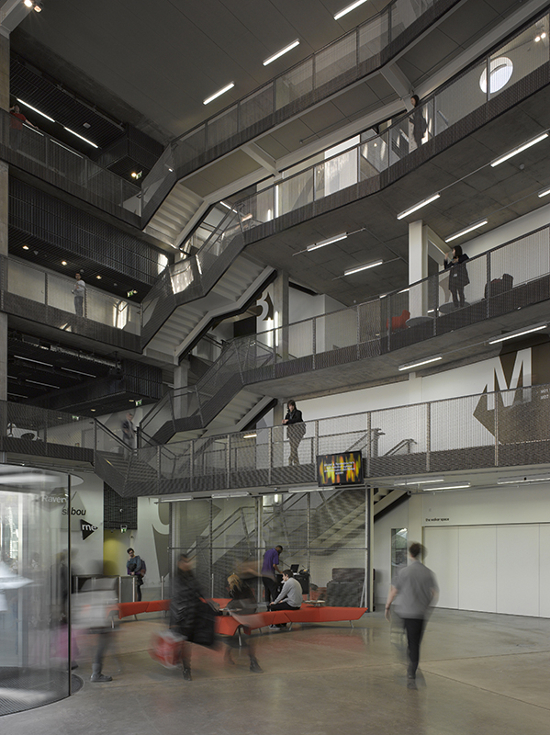 Having successfully extinguished a tired label, architects were able to pick up the ideas of this movement and practice them with renewed power and grace. As often in the past, self-consciousness had to die so that creativity could live. For a cultural movement founded in irony, there were more than laughable lessons. Postmodernism flourishes as a critical opposition and wilts as a reigning mode, and since the Millennium it has returned with a vengeance enhanced by the absence of the term. It has returned in architecture with three types of building: those that accentuate public communication (the iconic building), those that digitise nature's patterns (with an ornament that is variable), and those that extend what I would call the Time City (with a contextual fabric that is in counterpoint to the existing one). 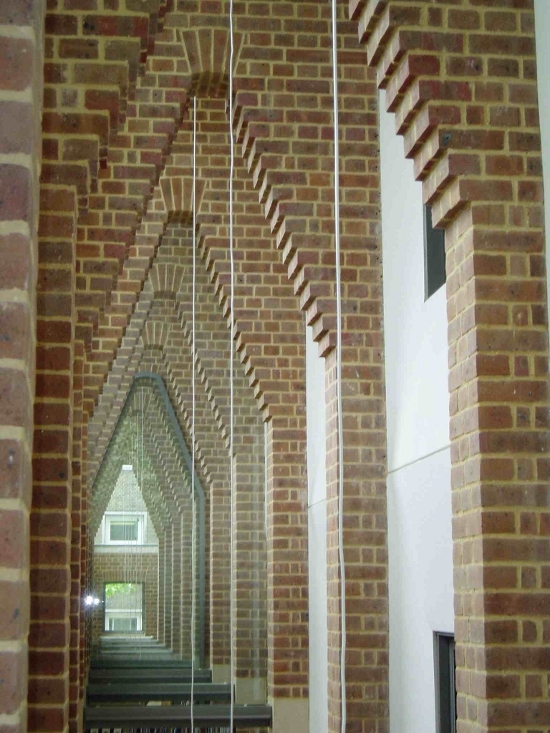 Ten buildings have led this return and, in some cases they do so with greater quality than the originals of the 1970s. 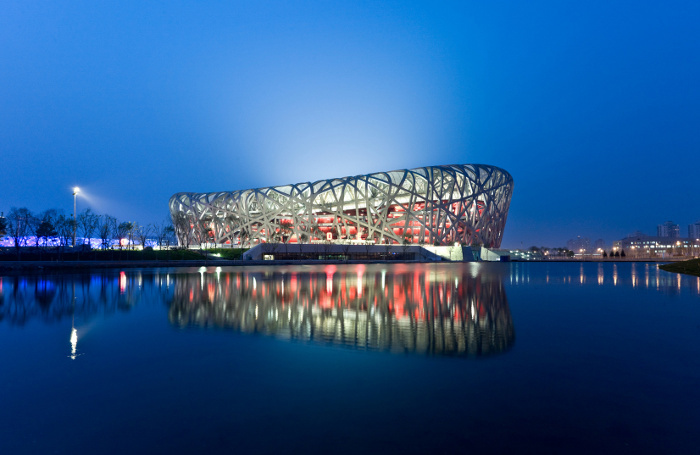 Beijing Olympic Stadium, aka The Bird's Nest, 2004-2008, designed with the artist Ai Wei Wei, is clearly the iconic building of the decade, and consciously designed as such. Foreign Office Architects have designed, and theorized, the most elegant versions of a complex ornament. 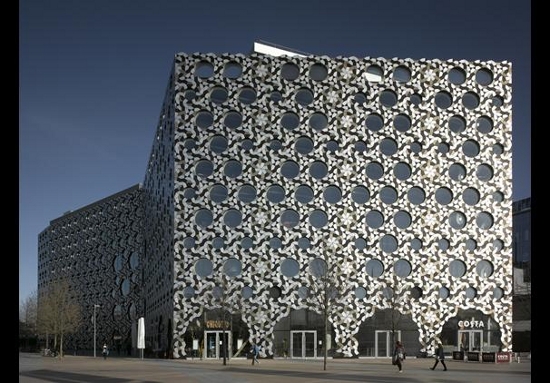 This is sometimes based on local meanings, such as their John Lewis Department Store, 2002-4, in Leicester, which transforms nineteenth century fabric patterns in the most intricate and marvelous way, but just as convincing is their Ravensbourne College, London, 2005-10. The latter plays with a variable pattern of circles and lozenges, almost becoming what is known as the quasi-crystal found in nature, and it does so with a musical rhythm somewhere between a symphony and jazz. Think how different this variability is to the monotonous reproduction of the same theme within Modernism, and the deadly disease that afflicts it from time to time known as Monothematitis. If we focus just on London for a moment, then Toyo Ito's and Cecil Balmond's Serpentine Pavilion, 2002, is a key step in the steady march forward of algorithmic complexity ornament, as important as Mies' Barcelona Pavilion was for Modernism. Frank Gehry's Disney Hall, Los Angeles, 1989-2004, would come near the top of any contender for the most accomplished, communicative icon that adopts metaphors suitable for its musical function. 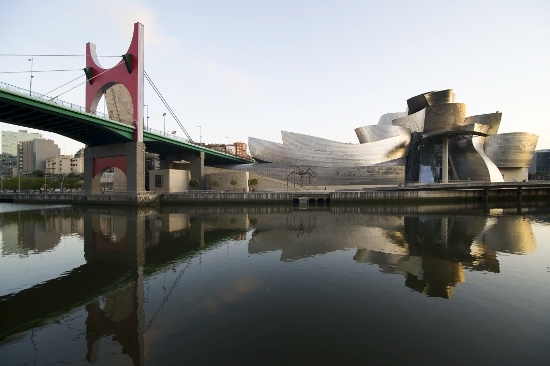 But I would earmark The New Guggenheim, Bilbao, 1993-7 because it liberated the most recent version of the genre that Le Corbusier had opened up with Ronchamp. Contrariwise, Peter Eisenman's anti-iconic icons, like those of Peter Zumthor, ask us to be skeptical about this dominant genre precisely as it is enjoyed and celebrated. We cannot get away with our pleasures, Post-Freud, without also factoring in anxiety and hard work. 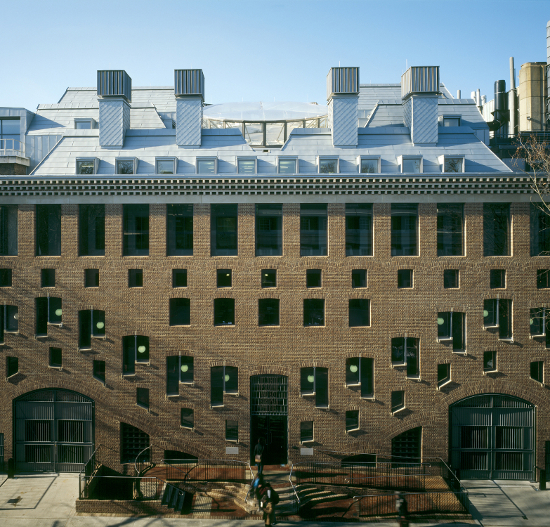 So Eisenman's Critical Modernism alleviates the guilt by administering a dose of rigorous architectural medicine, the generative grammars that make it a high art. These are evident in his City of Culture, Santiago (1999- and still in construction) a project that is hampered by its profligate business plan founded on easy credit and hope. A more grounded form of critical grammar is his Spartan, and powerful, Memorial to the Murdered Jews of Europe, Berlin, 1998-2005. It confronts one of the catastrophes of modernity, and addresses the content of mass slaughter through a beautiful but disorienting field of concrete coffins. People appear and disappear suddenly behind slab blocks. Critical Modernism questions the language of architecture, but it also tackles social, political and ecological issues. Selecting the best green or sustainable Post-Modern structure makes one balance relevant priorities, above all cost, the expression of the green agenda, and the way a building extends the context so it is cherished, or continually re-used. This again entails the notion of the building as a Time City, a palimpsest of styles, ages and functions. These balances are achieved notably by Edouard François and Edward Cullinan, but I would vote for Alan Short's consistent development of the mixture and - focusing again on London - pick his modest but brilliant essay in contextual counterpoint, The School of Slavonic & East European Studies, London, 2004-06. 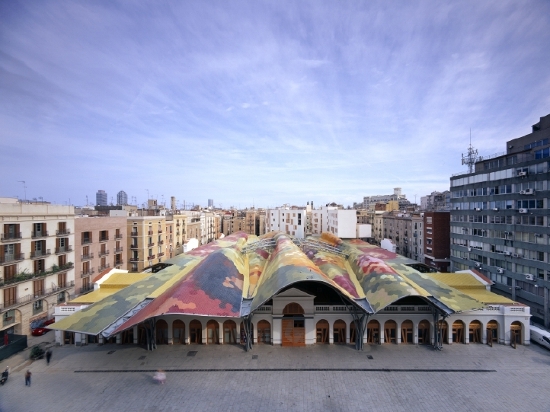 EMBT, the Barcelona Team created by the late Enric Miralles, is now led by his wife Benedetta Tagliabue and she has overseen the Santa Caterina Market, Barcelona, 1997-2005, a sensuous reconstruction of an old marketplace that pulls together into a multivalent whole the street-life and context, the fruit and vegetables. Here the Time City is explicitly enjoyed, ornamented and symbolised, a reason I prefer it to David Chippefield's important Neues Museum in Berlin, which deals with similar issues of ageing but in a Minimalist manner. 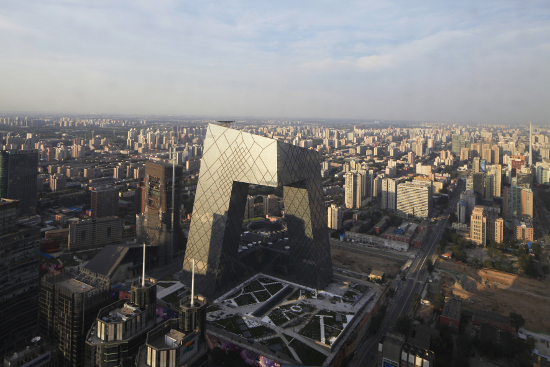 Finally, no list of the ten recent seminal PM buildings can be complete without one of Rem Koolhaas' provocative creations that reinvent moves in architectural organisation. The Seattle Library, Dutch Embassy in Berlin, and the Casa Musica in Porto all innovate with the new idea of the route-building. They take Le Corbusier's notion of the architectural promenade to new levels. 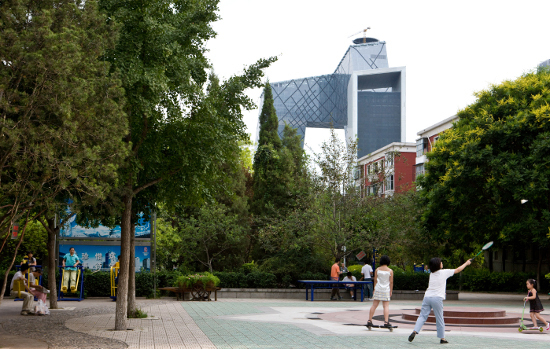 Koolhaas' CCTV, Beijing, 2002-20112 is one of the most accomplished, a different version of the 'non-skyscraper' and 'anti-icon icon.' 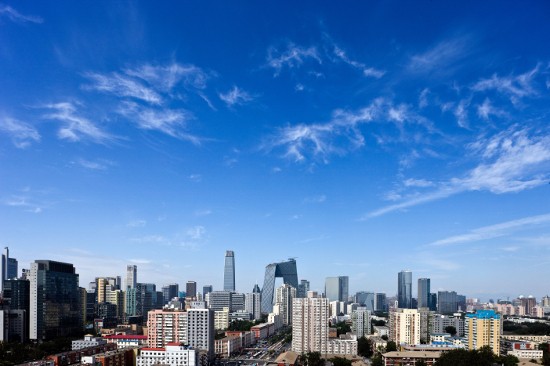 It is another kind of continuous loop and route that incorporates the urban landscape. 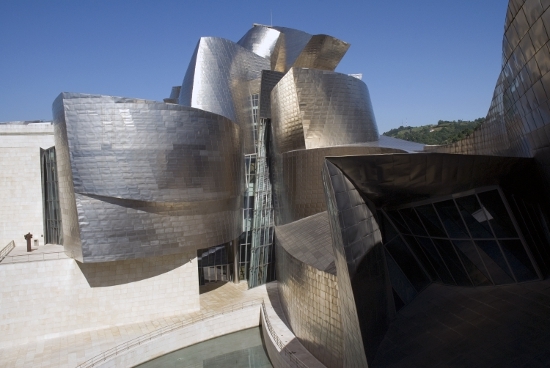 There is more to the resurgence of Post-Modernism than the few qualities and buildings I've mentioned here. It has to be seen as an intermittent tradition and category akin to the eclecticism of the Hellenic period or the transition to the Early Renaissance. Alberti and Borromini built mini Time Cities and loved to solve the problems of the tight urban site with its multiple and contradictory requirements. By contrast, Modernists love green field sites and the tabula rasa, which is why it is so poignant and interesting when one of its most outspoken apostles, such as Richard Rogers, embraces brown field sites as the solution to urban life. 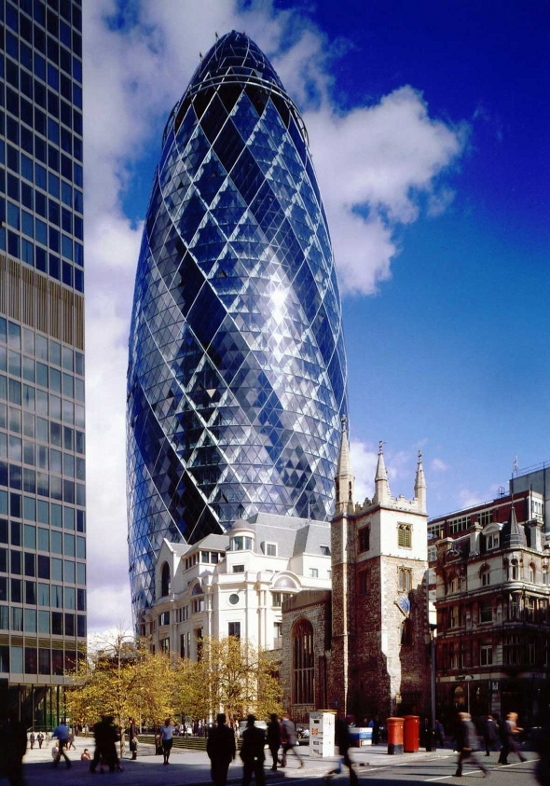 A lot of erstwhile Modernists such as Norman Foster and David Chipperfield now routinely zigzag in and out of the post-modern paradigm adopting metaphors, ornament, contextual counterpoint and many of its core qualities when the context calls for it. These apostates to "the one true style of our century" (as Nikolaus Pevsner called the Modern International Style) flourish in their new found freedoms - especially when no one points out they are practicing the dreaded Po Mo. But the biggest victory of the resurgent agenda, driven by globalisation, Google and the digital capabilities of design today, is the widespread acceptance of pluralism - at least in style and culture, if not in politics and tolerance. 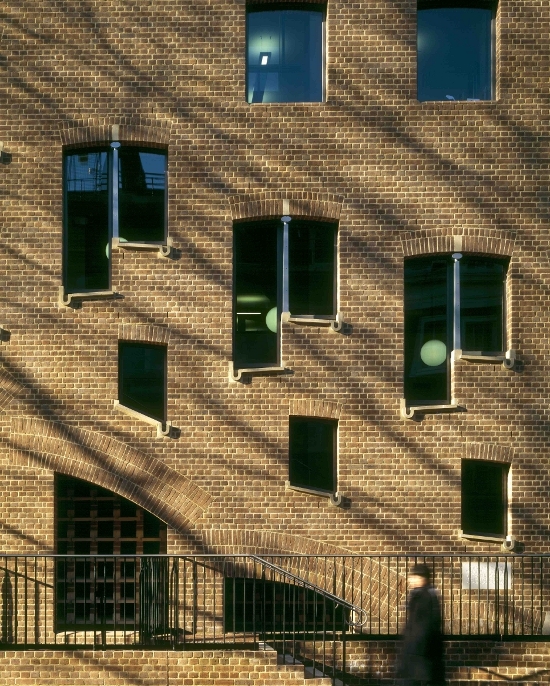 This article is extracted from, Charles Jencks's book The Story of Post-Modernism, Five Decades of the Ironic, Iconic and Critical in Architecture, published by Wiley, London and New York.